From where I sit most days and work (or don’t) on my dissertation, I’m lucky enough to have a clear view of Sydney Harbour. A central, enormous body of water that made the site of this city attractive or vulnerable (depending on whether one looked from ship or shore), the Harbour throws over Sydney its peculiar enchantment; covers a mess of metropolitan sins in a lattice of sea shadows and reflected light. It at once opens Sydney to the weather and protects it, drawing in cooler air and sheltering the city from the southerly – a wind that sets the masts of the Harbour’s many yachts swaying and chiming, troubles the waters, and makes havoc with the gulls. From my front door, I walk a little way to catch a ferry that carries me smoothly to Circular Quay, where the Opera House looms up like so many spinnakers, or, particularly in wilder weather, like a series of mouths, the great cathedral gapes of baleen whales. 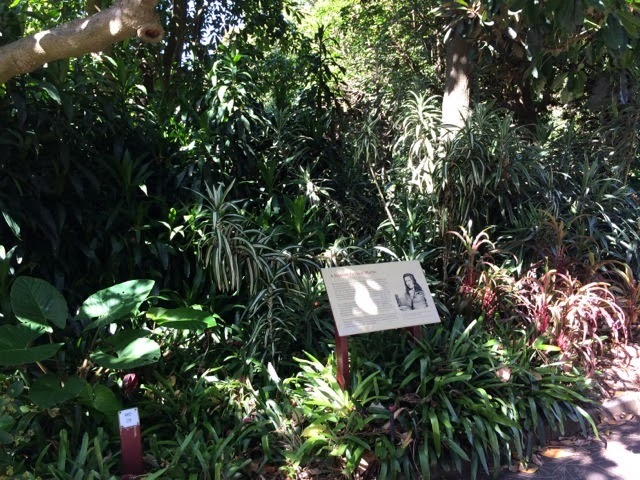 East of the Opera House are the Royal Botanical Gardens, a crescent of variegated green that cradles Farm Cove and extends out to Mrs Macquarie’s Chair, a carved sandstone seat where the governor’s wife could watch for ships from Britain. The Chair (and the road that once serviced it) was built for Lady Macquarie’s special use by convict labour, and teems, these days, with wedding photographers. From Mrs Macquarie’s Chair, looking out over the water, it’s hard to see the Harbour as a place of exile or punishment. 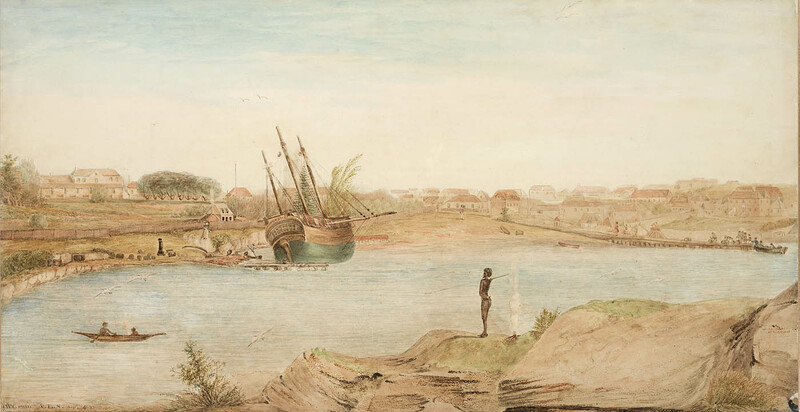 Sydney rests easy on its convict past, and rarely seems to consider its role in a wider network of British penal colonies that once included the United States. But there are other, less blithe monuments in the precinct of the Gardens, clues to Farm Cove’s sunken past, lurking just beneath the flowers. If, to mangle Wordsworth, from the public way you turn your steps, past the central cafe where toddlers are beset with ibis and parents fight rearguard actions against the flies, you might find yourself in a lesser-known corner of the Gardens, a covert shade where palms give way to starker gums, and a stream runs sluggishly under a wooden bridge. From here, should you take the right path, you might stumble, as I did, on Joseph Gerrald’s bones. 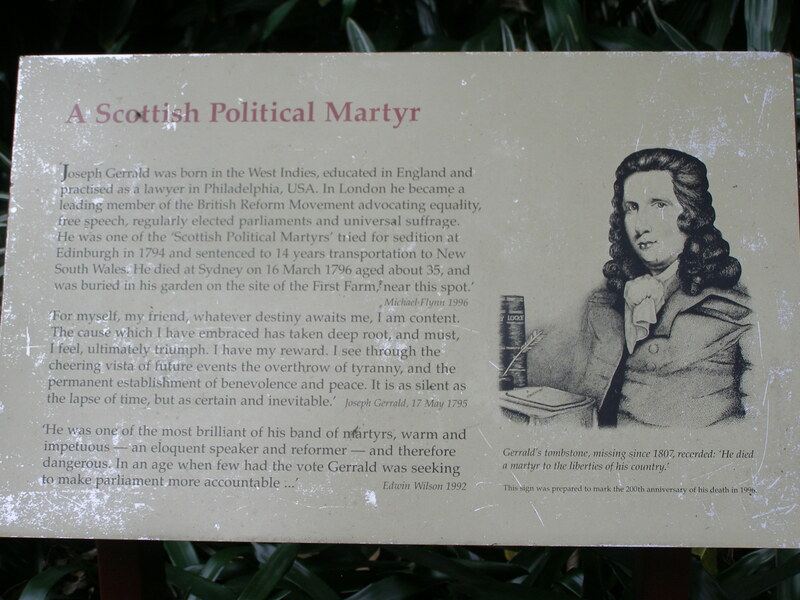 Or, at least, their equivalent – a small sign commemorating Gerrald as one of the ‘Scotch Martyrs’, convicted of sedition in Edinburgh for advocating parliamentary reform and the extension of the franchise. Along with Maurice Margarot, Thomas Fyshe Palmer, William Skirving, Thomas Muir, and others, Gerrald was sentenced to fourteen years’ transportation in 1794. He lasted less than a year. 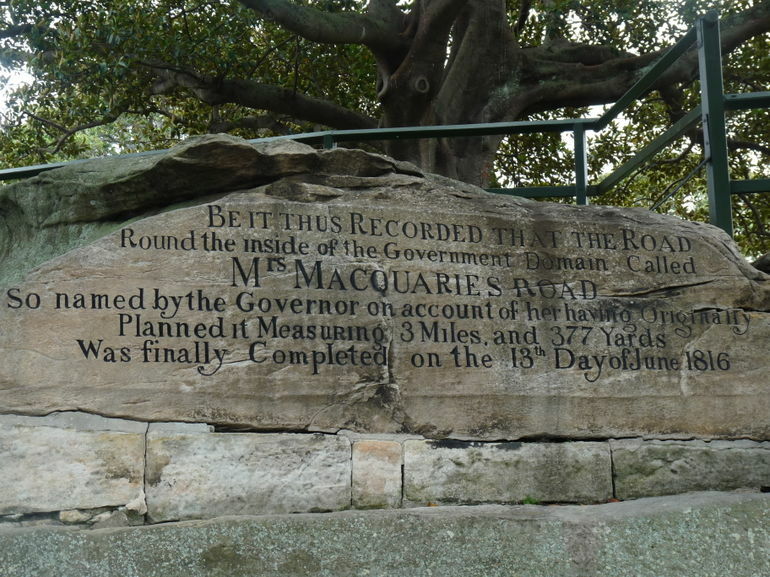 On 5 November 1795, after six months at sea on a convict ship, Gerrald arrived in Sydney Harbour and was allowed the lease of a house and small garden at Farm Cove (a site reclaimed for the Botanical Gardens, officially founded in 1816). Gerrald’s health, already weak, was broken by his incarceration and subsequent sea voyage. When he made landfall, he was suffering from advanced tuberculosis. By 1796, he’d moved to the house of his friend and fellow exile, the Unitarian minister Thomas Fyshe Palmer, who, along with surgeon George Bass, nursed Gerrald until his death in March of that year. He was buried in his garden at Farm Cove – his bones, like those of his hero, Tom Paine, are lost, resting somewhere beneath the Gardens, his gravestone either stolen or removed. 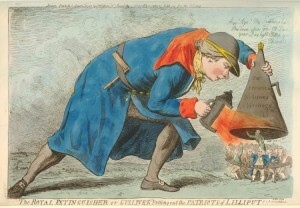 Gerrald was an early casualty of what Kenneth Johnston calls William Pitt’s ‘Reign of Alarm’, only one of a number of radicals and reformers persecuted in Britain during the 1790s. As the Terror gathered pace across the Channel, the Pitt administration cracked down hard on an increasingly broad and sophisticated coalition of groups agitating for political change: an end to the venal, ingrown network of vested interests that made a mockery of the House of Commons; the cessation of war with France; the right of the People to frame government for themselves. 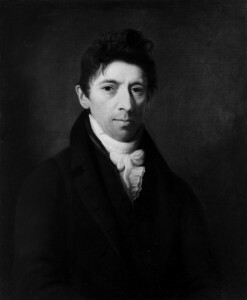 A luminary of the radical London Corresponding Society and the more genteel Society for Constitutional Information, Gerrald moved in many circles – a vital link between the philosophical radicalism of intellectuals like William Godwin, and the more demotic, urgent activism of men like John Thelwall and Daniel Isaac Eaton. His brilliant pamphlet of 1793, A Convention the Only Means of Saving us from Ruin, argued for a National Convention, an ersatz parliament to shame and expose Pitt’s administration as narrow and unrepresentative. When this plan went ahead, Gerrald and other delegates from all around England met their Scottish counterparts in Edinburgh. Minutes taken at the meeting were dated, ‘First Year of the British Convention’, and a contingent of the United Irishmen observed the proceedings with interest. The Government pounced. In England, a number of radicals, including the printer Daniel Isaac Eaton, had slipped through Pitt’s fingers, relying on London juries and, in some cases, the brilliance of a young Thomas Erskine (Eaton, of course, defended himself). The Scottish courts were more partisan, and more corrupt: juries could be picked. Here was a chance to send a clear message to radical groups all around the country, and to decapitate the LCS, to remove Gerrald, whose talents, in E. P. Thompson’s estimation, made him, along with John Thelwall, “closer than any others to having the metal of national leaders and theorists.” The outcome was predictable; that was the whole point. The first sentence fell on Thomas Muir: transportation, fourteen years. Lord Cockburn’s account of Muir’s trial includes this choice contribution from Lord Justice-Clerk Blaxfield, murmured to a juror as he strayed behind the bench: “Come awa’, Maaster Horner, come awa’, and help us to hang ane o’ thae damned scoundrels”. Gerrald’s uprightness and personal courage in returning to stand trial despite his ongoing ill-health, appeared heroic in the face of a Government determined to silence him, and helped turn the tide of public opinion. When John Thelwall, Thomas Hardy, Horne Tooke, and others in England faced similar charges in the more famous Treason Trials of 1794-95, they were acquitted by London juries and paraded through the streets. In E. P Thompson’s words, “Gerrald and his companions, by their example, contributed materially to the saving of the lives of Hardy, Tooke and Thelwall. By sacrificing themselves, they helped to save England from a White Terror.” Habeas Corpus, however, remained suspended, and the threat of arrest, imprisonment and, in extreme cases, execution loomed over the heads of those fomenting rebellion or reform. From the Streights of Gibraltar to the bottom of the Baltic all Europe is involved in military operations. The plough is abandoned, and the loom stands still; fleets are equipped and armies levied, to disturb peaceful communities, and to lay waste to the earth […] it is the blood of the peasant and the manufacturer which flows in battle; it is the purse of the tradesman and the artificer which is emptied in the contest. For War the nations to the field defied. Wooed in deserted shrouds the unregarding sail. Silence and Fear, and Misery’s weeping train. Beat round to sweep the streets of want and pain. Me and his children hungering in his view. And so we have Joseph Gerrald to thank, at least in part, for the republican turn Wordsworth’s poetry took around this time, and the stylistic testing that would lead up to the young poet’s most audacious experiment, the Lyrical Ballads. Over the last few years I’ve been excited by what appears to be an increased interest in the 1790s, and the profound effect of the Treason Trials on the so-called First Generation of Romantics. Kenneth Johnston’s Unusual Suspects (quoted above), John Bugg’s fascinating Five Long Winters: The Trials of British Romanticism, and Georgina Green’s The Majesty of the People: Popular Sovereignty and the Role of the Writer in the 1790s: all examine the role of writer and political activist in a time of widespread surveillance, unrepresentative government, an unfree press, vast inequalities, and the suspension of habeas corpus. Given current events, this seems appropriate, and, indeed, timely. Questions of poverty, personal freedom, and political agency are once again pressing, both in the UK and elsewhere. Habeas corpus and the freedom of the press are by no means assured. Governments around the world still retain extraordinary powers to search and detain; laws put in place to combat terrorism in the aftermath of 9/11 remain on the books. The revelations about widespread surveillance provided by Edward Snowden prove that the State has unprecedented access to the details of our private lives. It’s enough to make you wistful for a time when, like John Thelwall, your best defence against persecution was an English jury and a reinforced hat. It is, however, getting easier to imagine what the many writers, thinkers, reformers and radicals of the 1790s had to contend with. The resonance between our own times and the 1790s seemed, at least to me, particularly evident in the case of David Miranda, detained for 9 hours last year at Heathrow Airport under counter-terrorism laws. Miranda was carrying encrypted files, part of the Snowden leaks, to his partner, Glenn Greenwald, a journalist for the Guardian newspaper. Miranda was released, but the material he carried was confiscated. Habeas corpus and freedom of the press, the two pillars of British liberty, had no effect on his treatment, or the outcome of the subsequent legal challenge. A judge ruled that, while press freedom was certainly impinged upon, and that it was clear to everyone involved that Miranda was in no way a terrorist, the action was justified by “very pressing” interests of national security. After numerous threats of legal action from the British Government, Alan Rusbridger, editor of the Guardian, moved reporting of the Snowden story to the United States, where freedom of the press and the right to free speech are (as they were in the 1790s) more robust. The ministers responded with predictable invective. Rusbridger grew wearier. The clip ended; it was after dark. I remember closing my laptop and looking out the window, across the Harbour, all silvered over with the city lights, towards the Gardens. It was darker there. At this time of the evening, the gates would be closing, the night-flowers opening, and the ground moistening, growing cold. I was thinking – tritely, perhaps, but earnestly – of Joseph Gerrald’s bones.